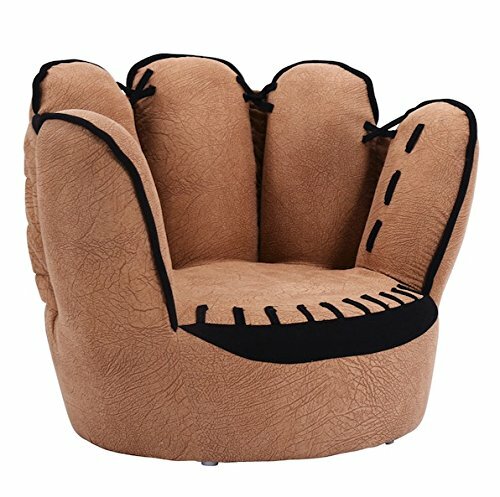 With this Five Finger Style Kids Sofa your children will now be able to enjoy the comfort that adults experience with a comfortable recliner that was made just for them This chair features a strong wood frame with soft foam for your active child. This petite sized features storage arms so kids can store it away and retrieve at their convenience. Sofa for entertainment and leisure. Perfect for slumber parties. Brand new and high quality. Ideal space saving furniture.